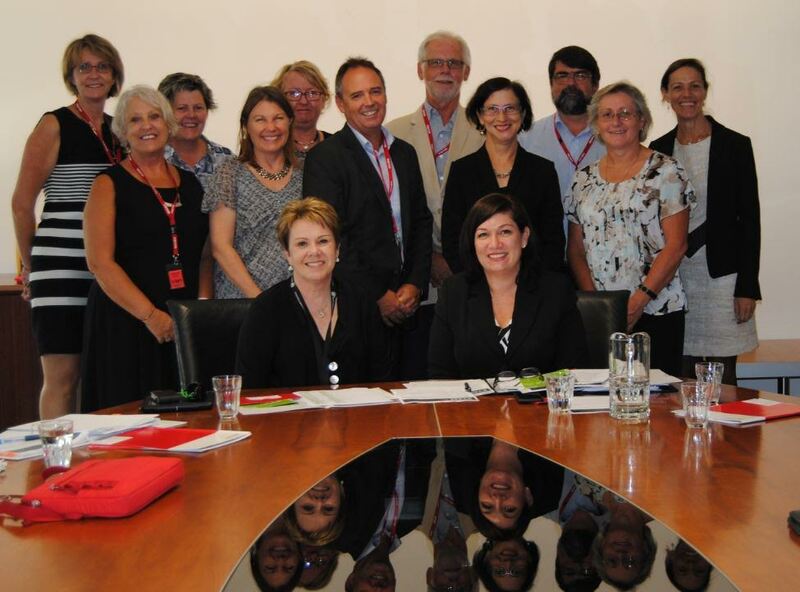 The inaugural meeting of the first ever high-level panel on Queensland STEM Education Network (QSEN) Reference Group was held on 26 April at Brisbane’s iconic cheese grater building. Established in 2015 with the aid of funding from the Federal Government’s Australian Maths and Science Partnership Program (AMSPP), the Queensland STEM Education Network is a tertiary consortium which aims to improve and advance Science, Technology, Engineering and Mathematics (STEM) capacity in Queensland. The Reference Group panel will consider ways to provide high level strategic advice to facilitate immediate needs, identify emerging opportunities and assist in scoping the future of the network. “There is a strong commitment to student and community engagement in this project, we are currently exceeding targets and aim to have further impacts on students choosing STEM careers in minority sectors” said Professor Richard John.